Following BDS pressure, Spanish festival issues Jewish reggae star with outrageous ultimatum: support Palestinian statehood or we'll cancel. A Spanish music festival has cancelled a performance by Jewish reggae star Matisyahu - because he refused to produce a statement clearly endorsing "Palestinian statehood," according to Spanish media outlets. Matisyahu - who shot to fame as a bearded "hassidic raggae" star, before leaving Orthodox Judaism in 2011 - was due to appear at the Rototom Sunsplash festival in Benicassim, north of Valencia. The yearly music festival is the European tribute to the major Jamaican reggae festival of the same name. But despite shedding his skullcap, beard, peyot - and most of his religion in general - Matisyahu maintains a strong sense of Jewish identity, and is an unashamed supporter of the State of Israel - a fact that drew ire from anti-Israel boycott campaigners from the Valencian branch of the "BDS" movement. The boycotters claimed he supported "an apartheid state which practices ethnic-cleansing," according to Spain's El Pais daily, and demanded the festival cancel his appearance. After days of pressure, concert organizers eventually capitulated, pulling his August 22 performance. In a shocking display of overt politicization, Rototom Director Filippo Giunta reportedly turned to Matisyahu and demanded he produce a "signed statement or video" which stated "in a very clear way" that he supported the establishment of a Palestinian Arab state, as a precondition to performing. "If you sign these conditions, you can continue the performance," Giunta said he told the artist, according to Europa News. 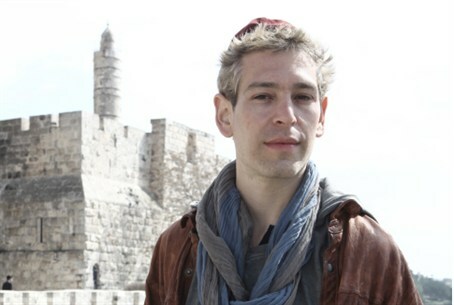 Matisyahu's performance was cancelled after he refused to respond to the ultimatum. The reggae and alternative rock star's appearance in Spain is just one of a number of stops during his tour of Europe this summer, which also includes Poland, Belgium, Germany, Ukraine and the Czech Republic, before his return for a whirlwind tour of the US.